Research on aging offers a striking model of aging as a potential time of brain health and growth. Mental stimulation and creative outlets can provide the opportunity to lead better quality lives filled with more knowledge and wisdom — and an increased capacity to contribute to society. The University of Delaware has been a leader in lifelong learning programs that offer mental stimulation, creative outlets and social connections that positively impact quality of life. The programs feature an academic cooperative model which encourages age 50 plus members to share their expertise and talents as volunteer instructors and through committees. 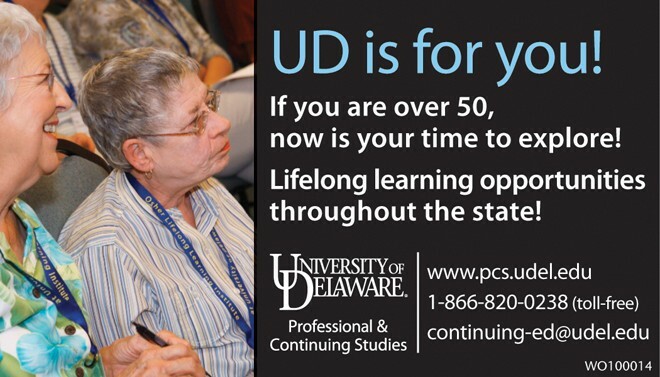 An amazing variety of courses are offered through the Osher Lifelong Learning Institutes at UD. Students take courses in art, history, literature, health, computers, yoga, philosophy, memoir writing, music, languages, genealogy, and much more. There are no exams or homework – just learning for the fun of it. Next Story → SAT vs. ACT Which Exam to Take?